Handmade on Bainbridge Island, this summery bag is vegan and eco-friendly. Mama’s got a brand-new bag. John Met Betty’s Audrey Bag is handmade on Bainbridge Island using eco-friendly, vegan, PVC-free faux leather. The new summer design features a feminine floral print by Rifle Paper Co. wrapped in translucent waterproof material that’s ready to go, rain or shine. 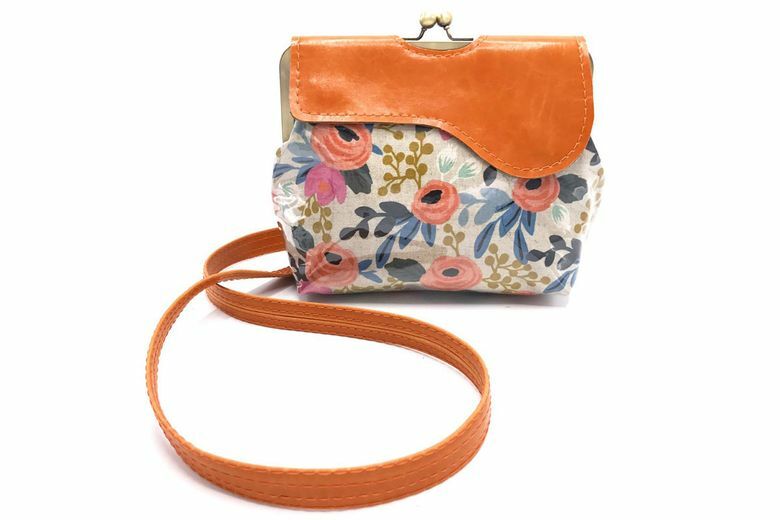 Kiss-lock hardware adds retro flair, a wraparound magnetic flap adds security, and the adjustable strap means it can be worn as a crossbody or shoulder bag.